Government attorneys urged U.S. District Court Judge Paul Grimm in Maryland to throw out the claims in the civil rights group’s lawsuit against the Census Bureau. But the judge refused Tuesday, ruling the NAACP may be able to demonstrate the 2020 Census isn’t adequately funded. Grimm said the NAACP’s claim is strengthened by a prediction that current census funding will run out by April, if not sooner — a year before the census. The NACCP’s lawsuit also challenged the methods and means of conducting the next census. The judge dismissed those claims but said the group can try to revive them later. The NAACP claims poor planning for the nation’s first-ever digital census will exacerbate undercounts and leave it vulnerable to cyberattack. 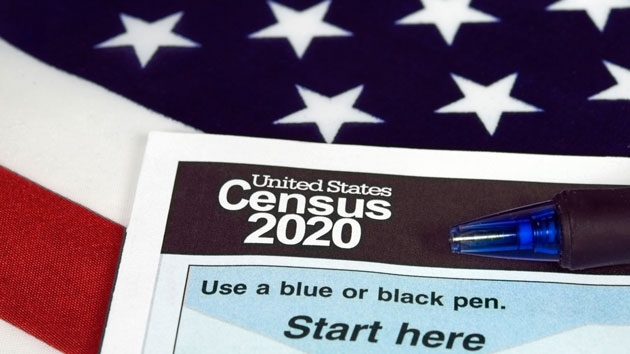 “It is imperative that the Census Bureau take steps immediately to minimize the undercount in communities of color and immigrant communities, especially given the likely impact of the underfunded census,” NAACP general counsel Brad Berry said in a statement. Justice Department spokeswoman Kelly Laco declined to comment on the judge’s order. “As for the exact contours of any declaratory relief this court might grant following an evidentiary hearing or trial, it is enough to say that some form of declaratory relief is likely to redress a proven shortfall in funding for the 2020 census, and it is unnecessary to predict exactly what it would be at this preliminary stage of the case,” the judge wrote. Prince George’s County, a predominantly black county in the Maryland suburbs of Washington joined the NAACP in suing the Census Bureau, Commerce Secretary Wilbur Ross and Trump last March. The NAACP didn’t contest the dismissal of its claims against Trump. The Census Bureau operated without a permanent director for months before the Senate voted earlier this month to confirm Trump’s pick for the position. The NAACP’s lawsuit says a hiring freeze has limited the bureau’s ability to fill other staff vacancies. The suit also says the bureau canceled important field tests last year in Puerto Rico, North Dakota, South Dakota and Washington state.